This year, the Pajama Jams team is taking donations until December 7 and recipients include the Samaritan house, ‘For Kids’, students of BF Williams Elementary and James Monroe Elementary schools in Norfolk. 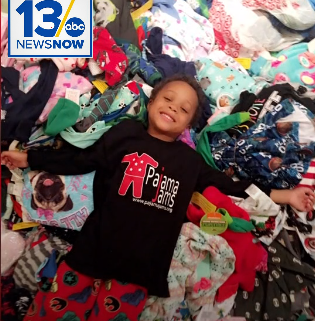 VIRGINIA BEACH, Va. (WVEC) — Pajama Jams is a non-profit in Virginia Beach working to get pajamas to kids in need across Hampton Roads. This year is their 10th anniversary, and the goal is to reach 10,000 pajamas. Co-founder Olivia Tucker explained how her mom Ericka taught the whole family a lesson 10 years ago. “We always wanted toys for Christmas, but it was always pajamas, and we were very ungrateful. 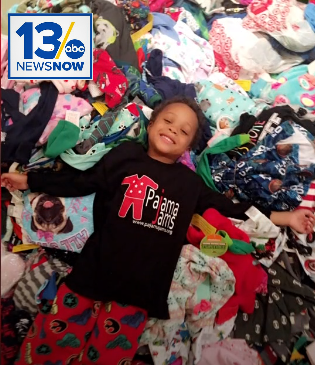 So she started collecting pajamas to donate to kids that don’t have them,” said Tucker. To donate you can sign-up online and do the Pajama Challenge, where you donate a minimum of 10 pairs of pajamas. You can also drop off a pair at the closest donation site. Either way, Tucker said the kids are grateful. “There are other people who aren’t as fortunate as me, by doing this it’s made me more aware of what’s going on, which I’m really thankful for,” said Tucker. This year, the Pajama Jams team is taking donations until December 7 and recipients include the Samaritan House, For Kids, and students of BF Williams Elementary and James Monroe Elementary schools in Norfolk. “Seeing how happy it makes them when they get to choose their own pajamas is cool because I never saw pajamas in that way. You don’t realize how special pajamas are until you see someone who doesn’t have them,” said Tucker. Pajama Jams this morning on WAVY-News 10 The Hampton Roads Show!